If you can envision it, we can design it. A sales meeting tailor made for connecting and collaborating. A tech-savvy product launch with all the bells and whistles. A cutting-edge training seminar that engages and inspires. A business breakfast, working lunch or awards banquet. 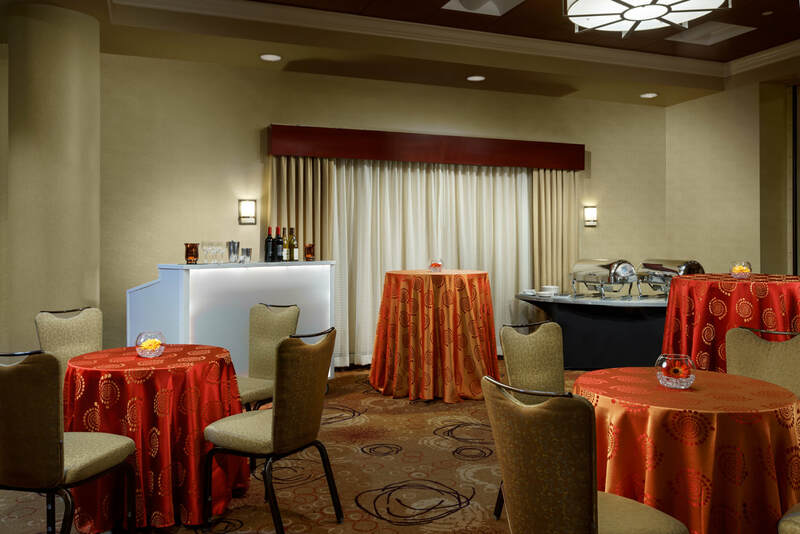 Host your next gathering at the Holiday Inn Charlotte Center City and you can be sure that your event will leave an impression. 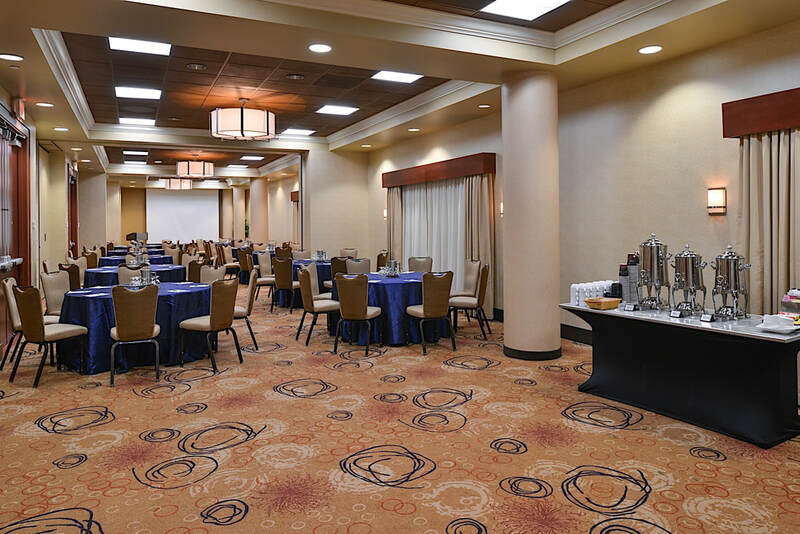 Boasting a convenient location in the heart of uptown Charlotte, NC, plus business friendly perks like complimentary Wi-Fi, complimentary shuttle service to nearby businesses and our Center City Club Lounge, we are the premier address for business. 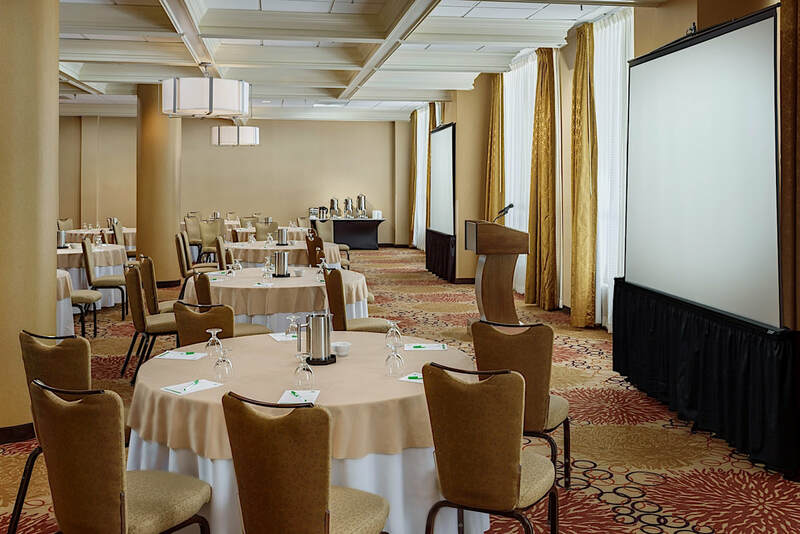 Our 11,000 square feet of event venues reflect the hotel’s modern aesthetic and include two ballrooms, eight meeting rooms and a Rooftop Siena event space with marvelous views of the Charlotte skyline. Fully customized event planning is offered by our experienced Meeting Specialists, and gourmet catering menus are designed by the Executive Chef of our award-winning Caffe Siena. Holiday Inn Center City invites you to dine, dance and celebrate special moments with your loved ones, colleagues or charitable supports at our breathtaking venue. Whether you are planning a fundraiser, bar or bat mitzvah, sweet sixteen, prom, wedding, baby shower or anniversary, our exceptional event spaces can accommodate groups of all sizes. 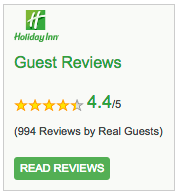 At the Holiday Inn Center City, your family members and guests will be in the Center of it all in Uptown Charlotte, while enjoying the comfort of southern hospitality. Rooftop Siena offers a beautiful setting with a picturesque backdrop, perfect for your wedding shower, company dinner, luncheon or social event. 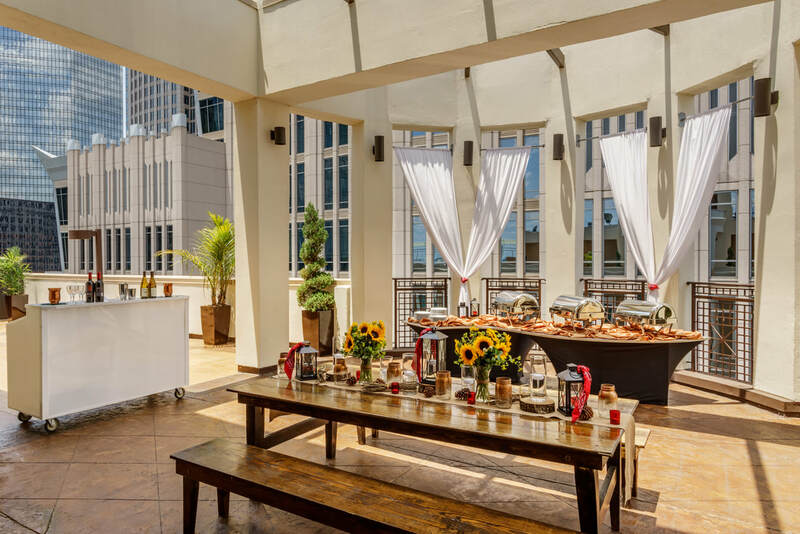 With breathtaking views overlooking sparkling Uptown Charlotte, This modern and elegant rooftop creates a unique event space will create a truly once in a life time event.